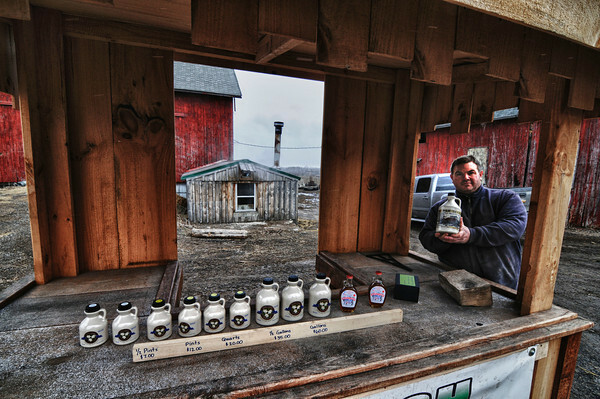 James Neiss/staff photographerCambria, NY - Brian Whyte, owner of Niagara Forestry on Lower Mountain Road in Cambria, fired up his sugar shack to make maple syrup during Maple Weekend. Maple farmers in Niagara and Orleans county are opening up their farms to the public, as well as other across the state. An interactive map of all the locations can be found at http://www.mapleweekend.com/locations.php.